Mobile websites have the flexibility to display differently depending on the size of the screen the viewer is using. This is called responsive web design. See if your website is mobile friendly! How much does a NEW Mobile Website cost? This is one of those “piece of string” questions but you should be able to get a basic mobile-friendly website for about $1500. A mobile friendly website does take a little longer than a normal website and there is extra testing to do. It may also require different graphics, content and functionality. More advanced websites will take longer and therefore cost more. If you are looking to build an online shop, make sure that the shop system you’re using is mobile-friendly and ask how much extra it will be to customise the mobile version of your online shop. 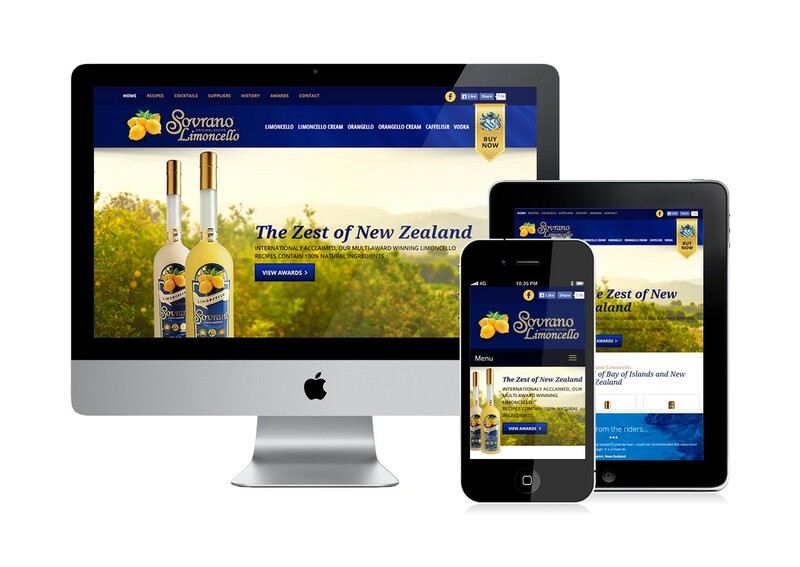 We offer an online shop system that has mobile-friendly functionality as standard. Ask us about a new mobile website. How much does an UPGRADE to a Mobile Website cost? Cost to upgrade an old website to be mobile friendly depends entirely on how the old website was built. There are some types of websites that simply can’t be upgraded to be mobile-friendly and others that are not worth upgrading as they stand because it would take to long. If it’s been built by an amateur or is more than a few years old, the techniques used to build it will probably mean that it is not easy to upgrade and you’d be better to start over. However, if your website was built by a professional, then there is a good chance that we could upgrade it more cheaply than you think. Flash-based websites use animation. If there are things flying all over the places and the buttons make noise when you mouse over them, the chances are that you have a Flash website. Once thought to be the way of the future, Flash is gradually fading away. Flash websites are not well supported on mobile phones. Apple products don’t normally display them and they don’t function well on small screens. Ditch it and start again! Most online shops built before 2012 are not mobile friendly at all. One of the most popular online shops (Zen Cart) will probably never be upgraded to be mobile friendly as the people behind it are no longer offering anything more than security upgrades. Look on this as a chance to review your online shop and make it work for you. Having said that, the news is actually pretty good for many websites. If your website was built using modern techniques, then upgrading to a mobile website cost could be as little as $500. Most of my clients are paying that. In the process, I am adding in a neat little feature called a Click to Call Button. It allows smartphone users to phone you directly from your website. If someone views it from a normal computer, the button is hidden. A really useful way to get enquiries. Ask us about upgrading your website to a mobile website. Won’t a mobile website cost less if I do one of those monthly plans? There are a number of online offers right now for converting your old website to a mobile website where you pay a monthly fee. They sound like a great idea until you realise there are other factors you need to consider. How much will a mobile website cost you over time? If you opt for a monthly plan, mobile website cost can easily blow out to be more than the cost of a one-off upgrade within 2 years. You’re paying for a robot. Some of the monthly deals rely on a piece of software to automatically generate a mobile version of your website. This will work for some websites but not all of them. Monthly plans tend to use pre-built templates, so you can’t always get exactly what you want. Automated templates can’t be changed. There are a couple of big overseas companies who set up people here in NZ as resellers of their plans. The people selling them here don’t build your mobile websites and are merely on-selling someone else’s services for a commission. Monthly plans soemtimes limit the number of pages that can be mobile or number of views and you need to pay more to upgrade. OK, How do I get a mobile website? You can call us on 0800 627 546, email team@energise.co.nz or use our online quote form. We’ll talk you through what we can do to help you using plain English!